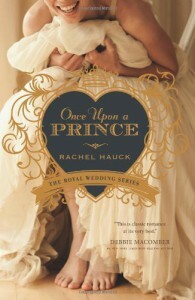 Posted on Dark Faerie Tales.When I had the opportunity to review Once Upon a Time by Rachel Hauck, I was excited. I’ve been looking for a sweet romance with a prince. I found it in this. It was simple and sweet, and perfect for the weekend. I felt the love and enjoyed the friendship. Susanna Truitt was in love. She was in love with a man that has served her country for many years. They began as friends and became more. After twelve years, Susanna was ready to settle down and have her own family. Unfortunately, her boyfriend didn’t feel the same way. He met someone else and ended Susanna’s happy ever after. Her career wasn’t progressing, like the rest of her life, and returns to work for the family restaurant. Prince Nathaniel is on holiday in St. Simon’s Island. He is escaping the pressures of his life, and his future, before the inevitable happens. As the king’s health decreases, his ascension to the throne is counted in days. What he doesn’t expect is a friendship that turns into something more. Susanna and Nathaniel’s lives are worlds apart, and could never work out, especially because of who they are. Will they say goodbye forever or have their own happy ever after?Susanna is someone that was easy to get to know. She is every woman, looking for love but just not in the right places. Hauck wrote her well and realistically. She had her own faults and flaws that she accepted, as well as unrealistic dreams. 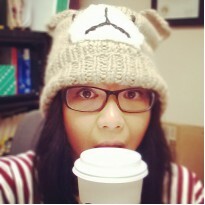 I related to her because I was in that place one time or another. It was easy to put myself in her shoes, and for me, that’s always a quality that I like to see in books. I took Susanna as a woman with much vulnerability, but as the story progressed, Hauck showed me her tenacity and drive. She transformed into someone stronger, someone independent, and someone that I would want to be.Nathaniel is a prince; a real prince (at least as far as the story goes). Who doesn’t love stories about princes? Nathaniel had an accent, he was dashing, and he was someone that most girls would love to swoon about. He had manners and charm that most of us readers don’t experience first-hand. And with Nathaniel, Hauck gave us our prince. I admired how much he valued family and duty, honoring and respecting his culture and his country’s ways. He was a good character to get to know, one that I’d like to know more of.Hauck’s world was one out of a fairy tale. For those of you movie aficionados, Once Upon a Prince has similar hints to My Prince and Me. They both have comparable details towards the story and the setting, but I feel Once Upon a Prince has something more. As a book, I always get more out of a story versus a media representation. The place that she chose, St. Simon’s Island, was quaint and had that home-town feel. It played this role that added to the intimacy between Susanna and Nathaniel. It was a small island, allowing for the friendship to blossom into a romance. It was easy for me to get lost within the pages of Once Upon a Prince. Hauck paced the events well, and it allowed me to concentrate on the story itself. There wasn't a love triangle, and not much angst. There are some elements that were predictable. But if I’m going to be honest, I read Once Upon a Prince to experience a feeling. I read Once Upon a Prince to feel the love that Hauck wrote about.